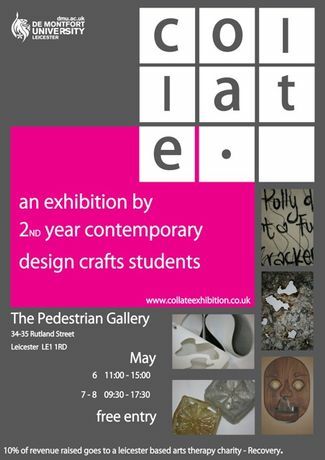 Collate is an exhibition by 2nd year Design Craft students studying at De Montfort University. The exhibition consists of a variety of contemporary pieces ranging from glass, textiles & ceramics to metal, wood & paper. 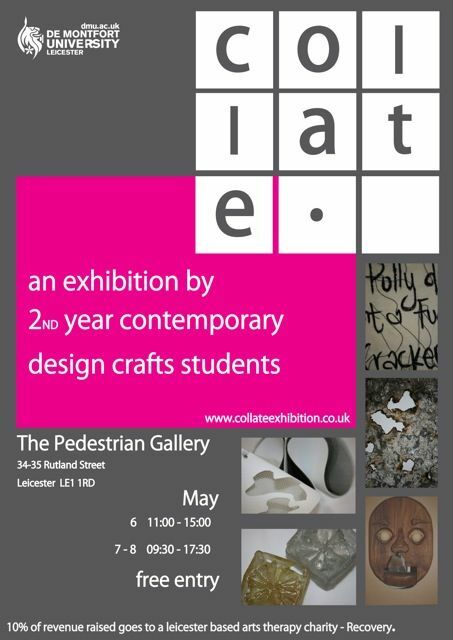 It is an opportunity to see and purchase unique work by future designer makers.